It has been a tough few weeks for us in terms of results but I’m confident and know that this team will bounce back. We have got a great group of girls who are all working ever so hard to get us back to where we want to be. I am absolutely loving this challenge because we have some absolutely fantastic people and players who make every day a pleasure to come in to work with them, on and off the pitch. Some results haven’t gone our way but we are a new team evolving each week and we are looking to get the process right. I know eventually we will start to come good and start to climb that table. 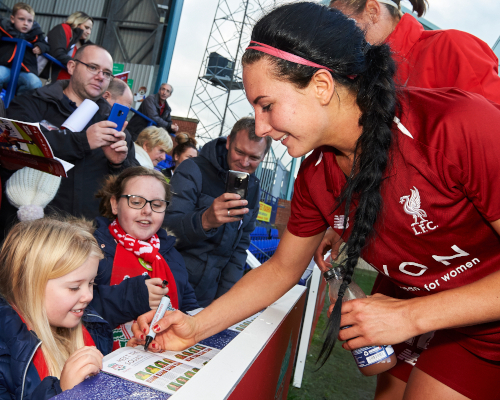 We have had some tough fixtures, especially back-to-back games against Chelsea and Manchester City, two of the best teams in the Women’s Super League. 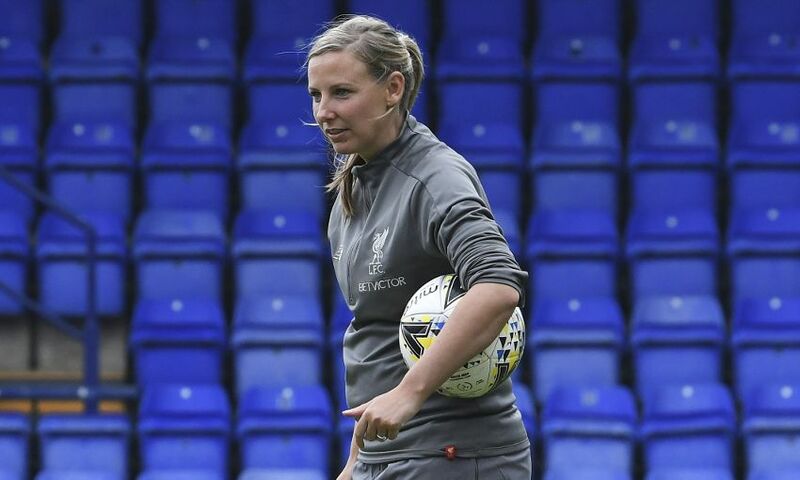 When we came up against Chelsea, the defending champions, we knew they have some outstanding individuals and their manager Emma Hayes nurtures her teams to perform to get results. It was always going to be a tough test for us but what I took on the back of that was this group of players we have are willing to give everything, even when they are underdogs. Every challenge that is put in front of our players they face head on and that was pleasing, to see us compete right until the end. In the 87th minute we still had a moment in front of goal when we could have taken a point from the game. They are the moments, though, that we need to improve and when those chances do arrive we need to take them. There is no reason why we can’t get points off the top sides in the league although we are still a way off from finishing at the top of the table. However, there is no reason why we can’t keep pushing and progressing and surprise a few teams this season. We lost 2-1 at Bristol City last weekend and I have to say it was a tough pill for both me and the girls to swallow. You only have to look at the second-half performance and see the way we applied ourselves and bounced back. We certainly had to chase the game but you do have to have a little bit of luck sometimes. We were disappointed with the manner in which we conceded the two goals and that shouldn’t be happening but we can’t control everything and we have got to move on, be positive and look forward. Courtney Sweetman-Kirk scored a good goal for us and was unlucky not to get an equaliser. I was really impressed with Courtney’s attitude. She was a real leader on the pitch. When she scored she grabbed that ball and sprinted back to the halfway line, which showed real character and I was really pleased for her getting her goal. We have also had a few injuries and we are without Niamh Charles at the moment. She is a talented player and a big threat going forward. We will have Jasmine Matthews available again for this weekend, which is a big boost for us and we should also have Leighanne Robe back too, who was also a big miss at Bristol. 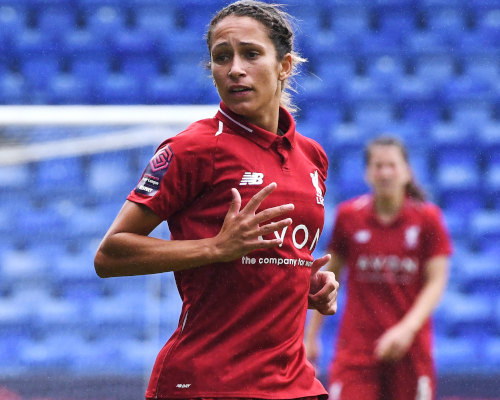 Leighanne has really stepped up for us at this level at left-back. I’ve been so impressed with her because she was playing in a league below last season, but the way she has played for us you wouldn’t think that. She has been a real key to the back four. We also have Jess Clarke fully fit again now because she had restricted minutes at Bristol after returning from injury, so that is another big boost for us. 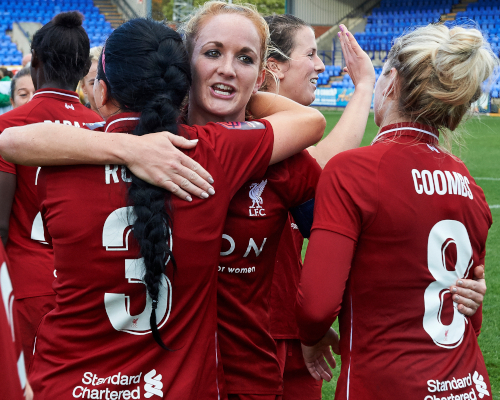 We are delighted to be back at home on Sunday when we welcome Birmingham City to Prenton Park, and we hope to produce a good performance against a very good side. Birmingham are a team in top gear, they are firing on all cylinders and are third in the league. We might be the underdogs in many people’s eyes going into this game but the pressure is on Birmingham and we will do everything in our capability to stop Birmingham getting another three points. If we play to our potential and have a bit of luck at the other end of the field, we can cause them problems. We would love to have some more supporters down at Prenton Park to cheer us on because they make such a big difference. We have so many role models who step out onto that pitch, not just from us but Birmingham as well. It’s a great opportunity to watch a good game of football and we could do with more Reds fans at Prenton Park, so I would urge everyone to get down and cheer us on. Kick-off on Sunday at Prenton Park is at 2pm GMT. Season ticket holders for Liverpool FC and Tranmere Rovers FC as well as LFC Members gain free entrance to the fixture.